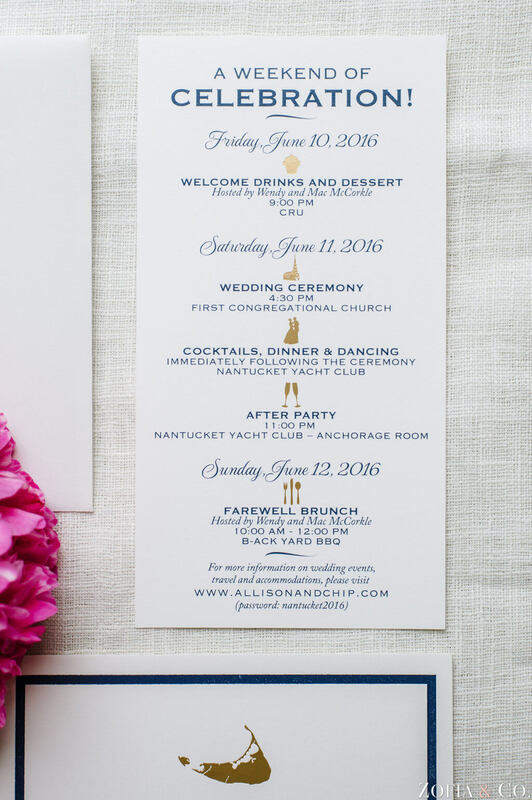 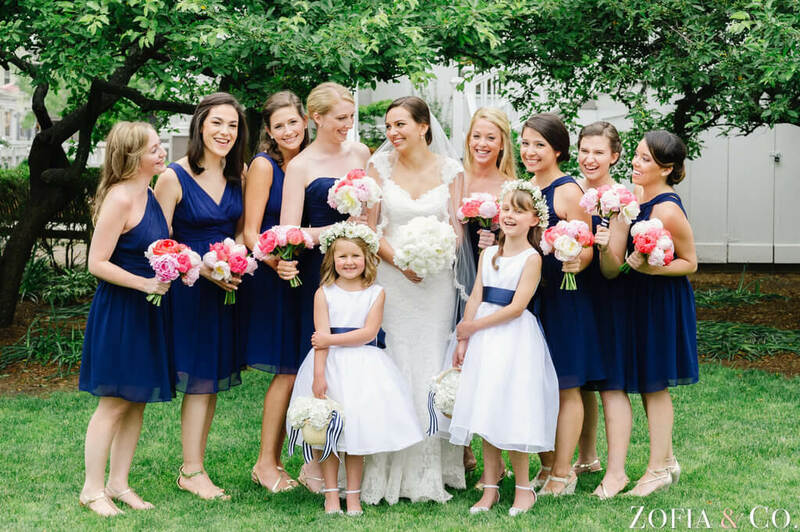 Allison and Chip’s preppy Nantucket wedding was filled with pops of coral, blush, and of course, navy! 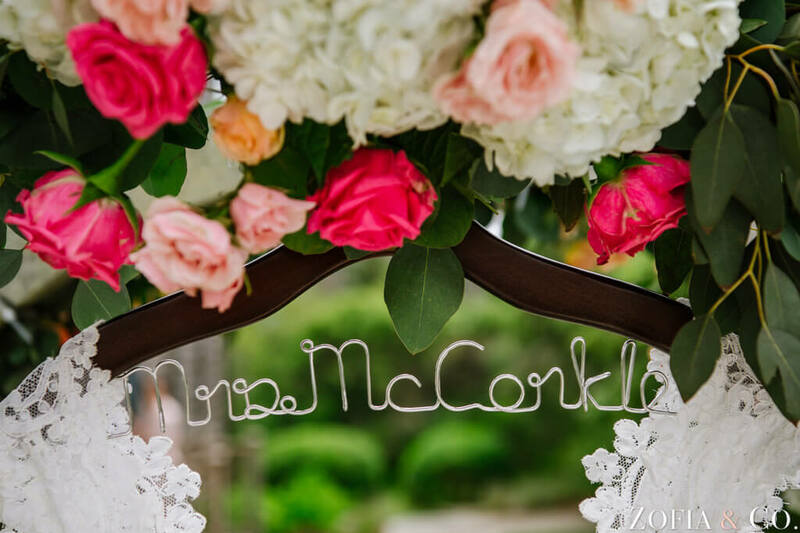 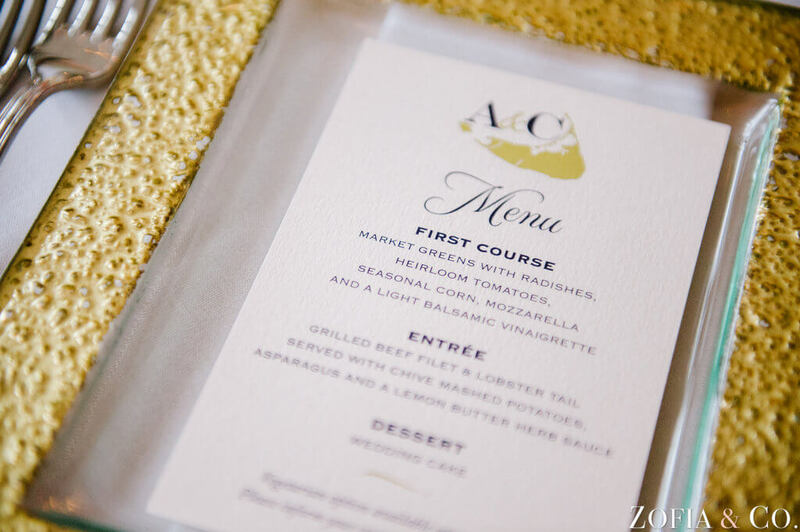 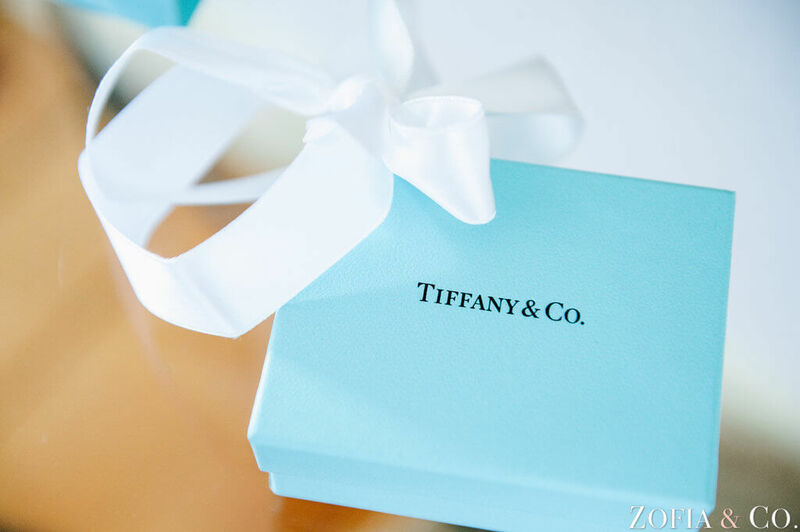 We began their custom process by designing a wedding logo using Allison and Chip’s first initials. 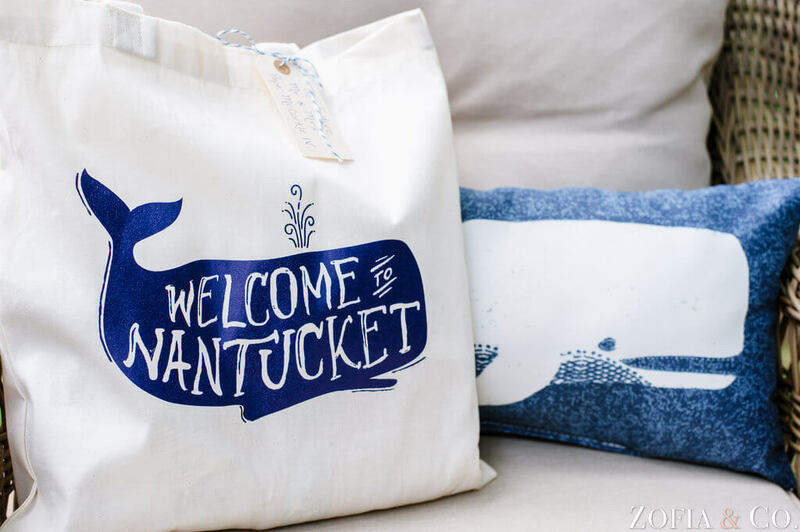 We paired them with the shape of Nantucket, which turned out so cute! 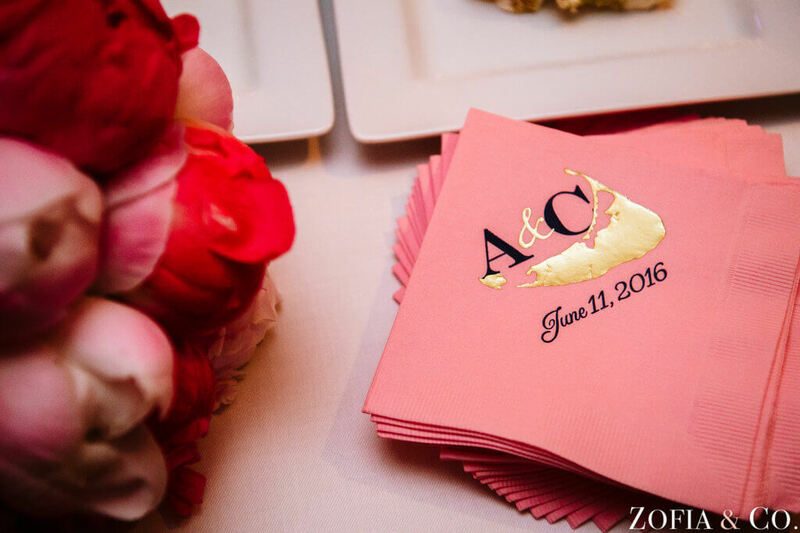 Geographic elements in a wedding logo is a way to keep them unique! 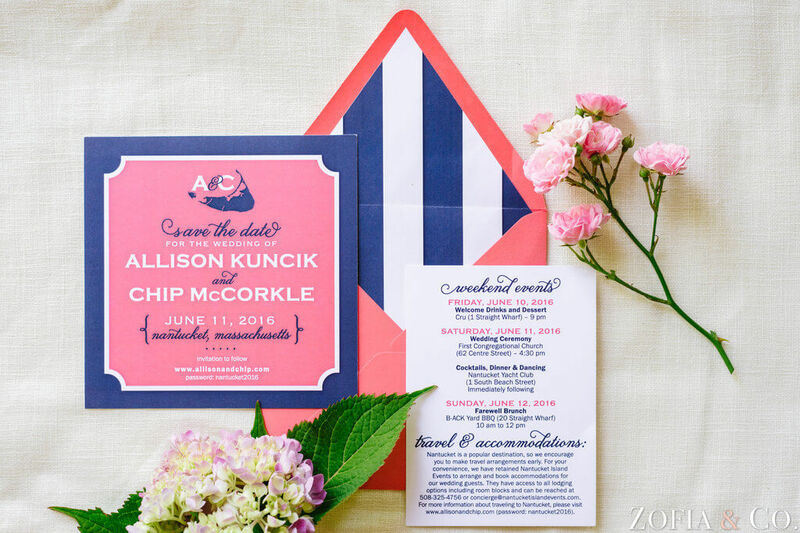 For the save the dates we used the logo on top of a square shape in navy and coral with a navy and white striped envelope liner. 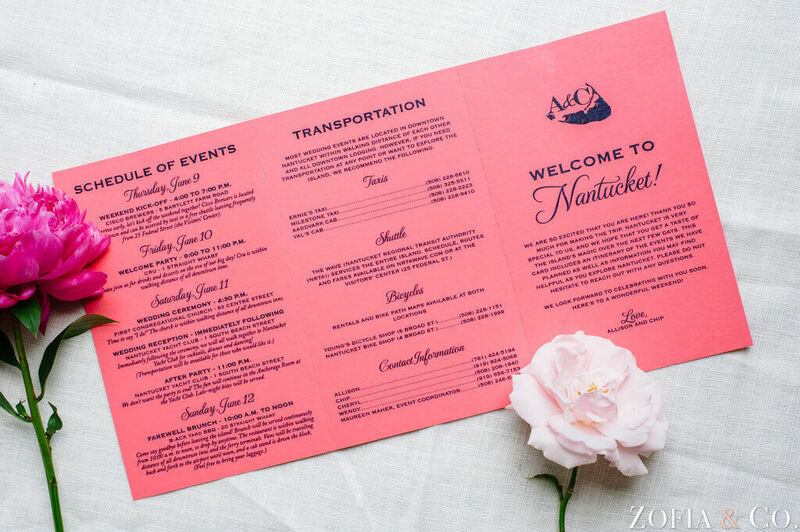 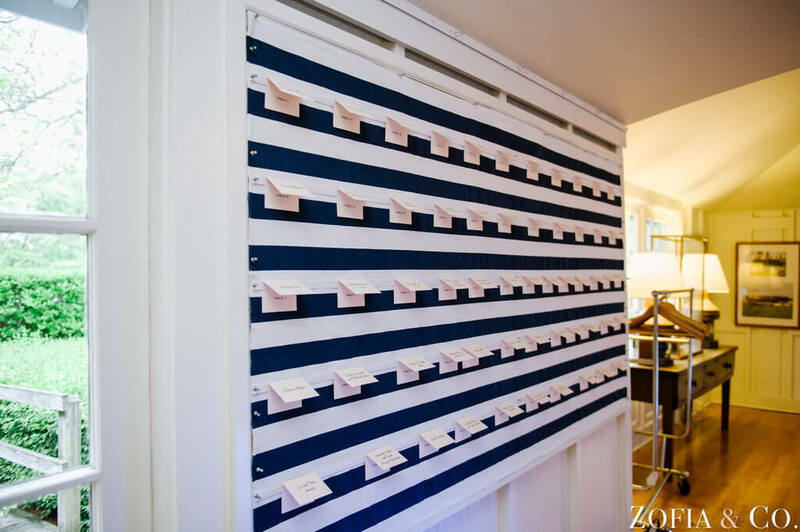 Lined envelopes are one of our signature design elements at Nico and Lala! 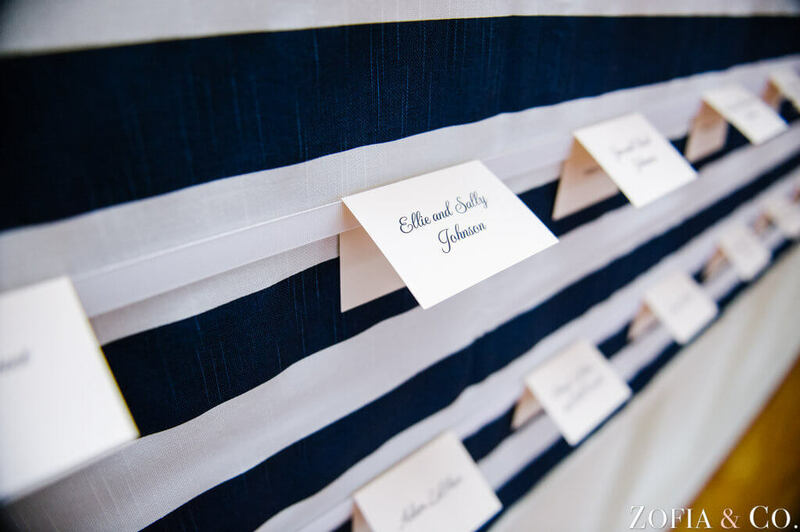 And, who doesn’t love stripes for a nautical wedding?! 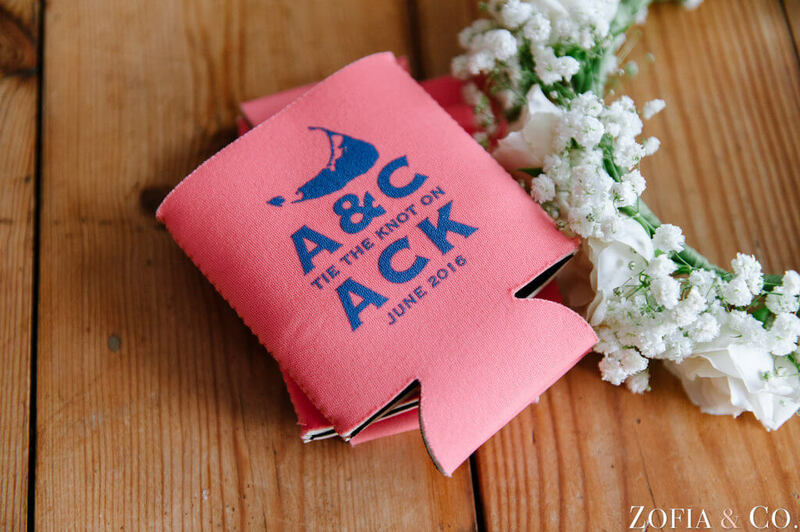 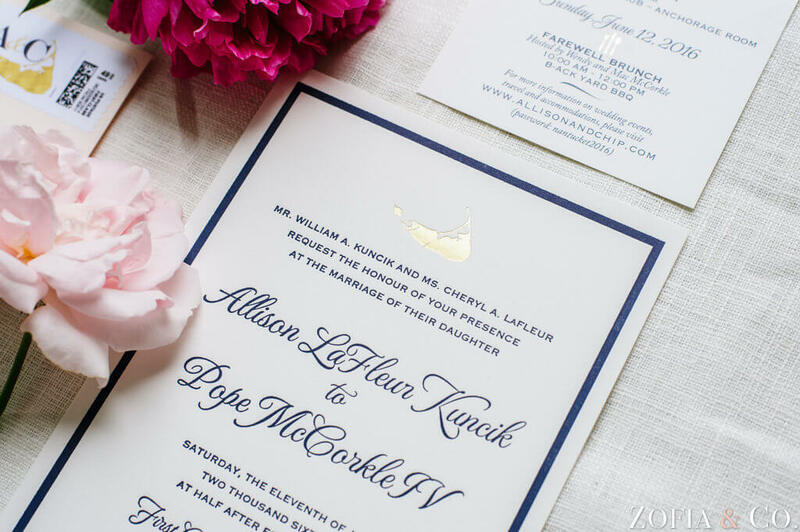 These save the dates are bold, preppy and just.. fun! 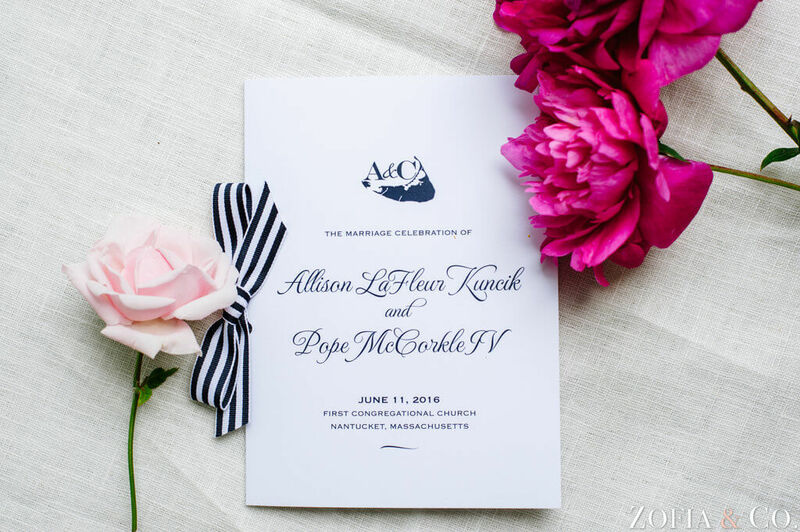 For the wedding invitations, Allison wanted a more subdued look. 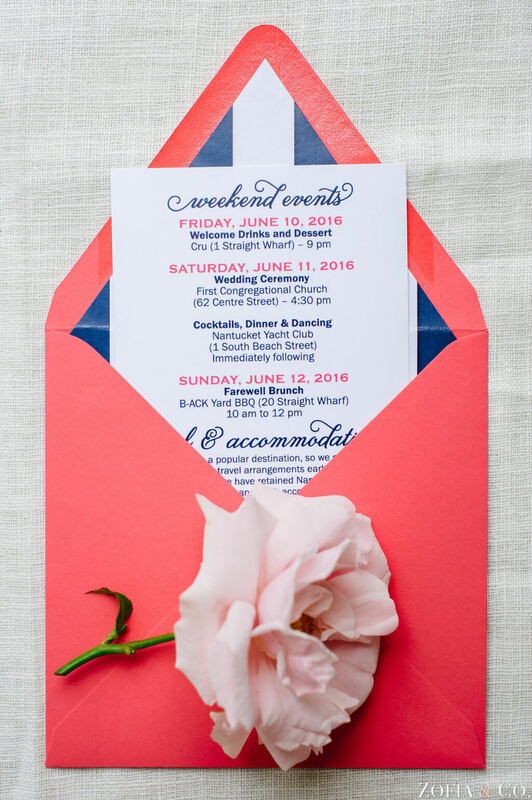 We decided on a cotton double-ply card stock letterpressed in navy. 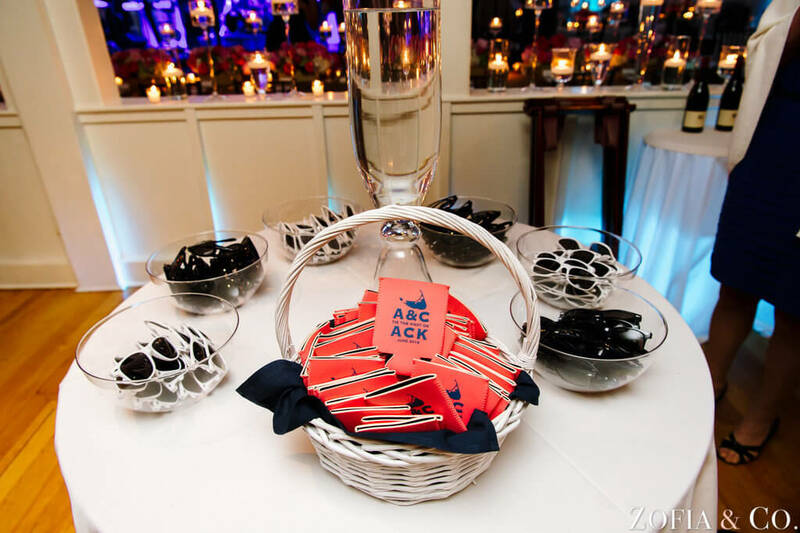 The logo we kept simple and used just the shape of the island, omitting their initials. 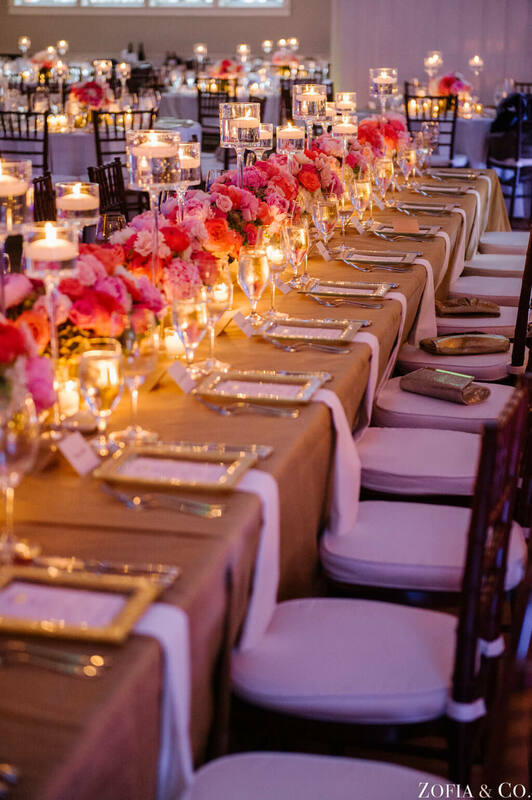 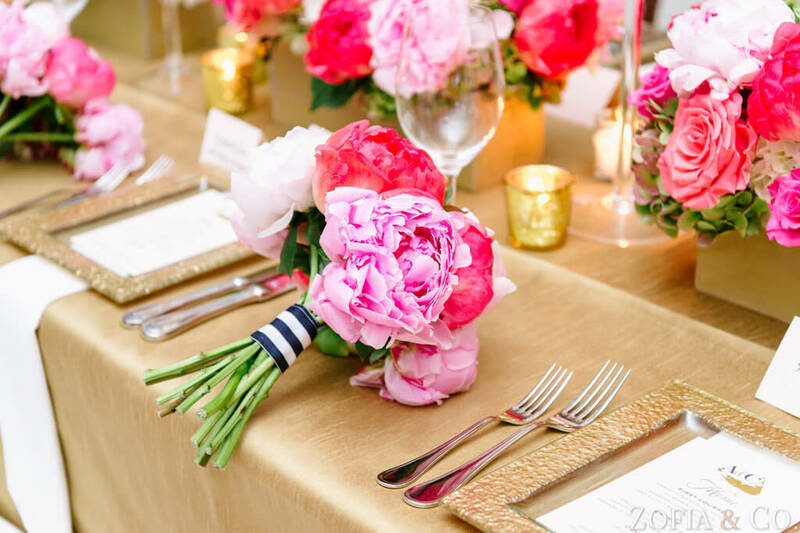 Throughout the suite, pops of gold and blush (rather than coral) were used to maintain the tone. 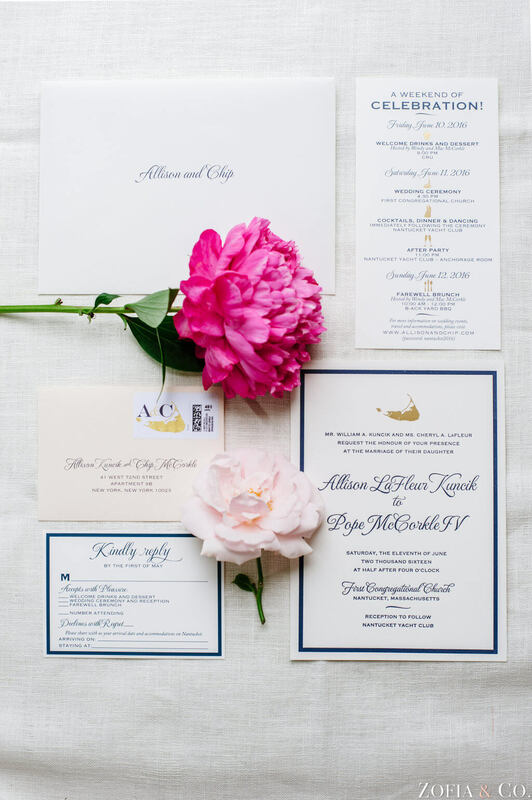 The belly band in blush satin ribbon with the gold and navy wedding logo, held the invitation together. 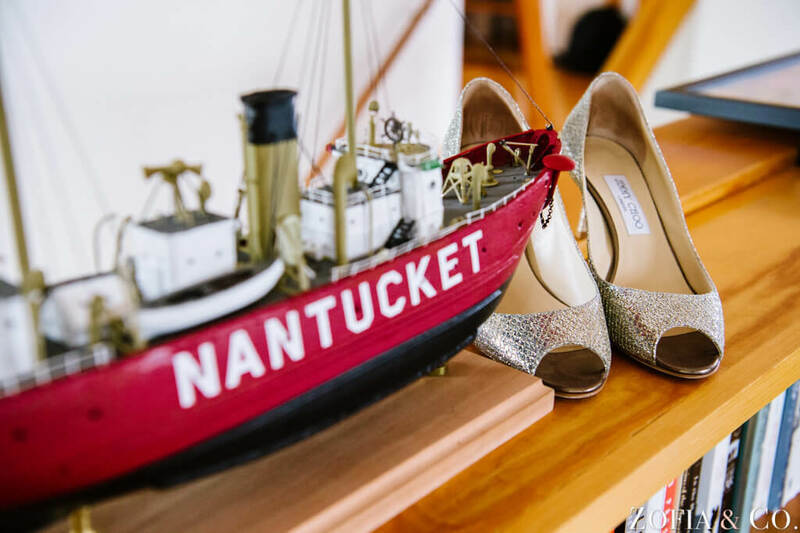 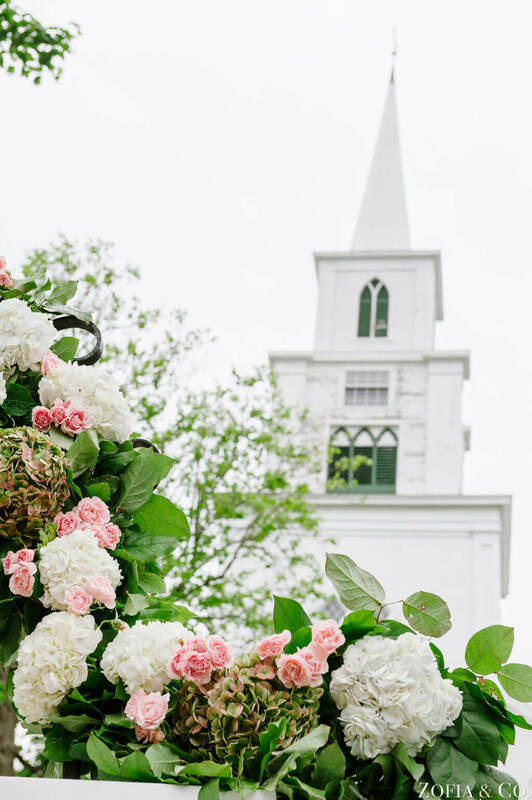 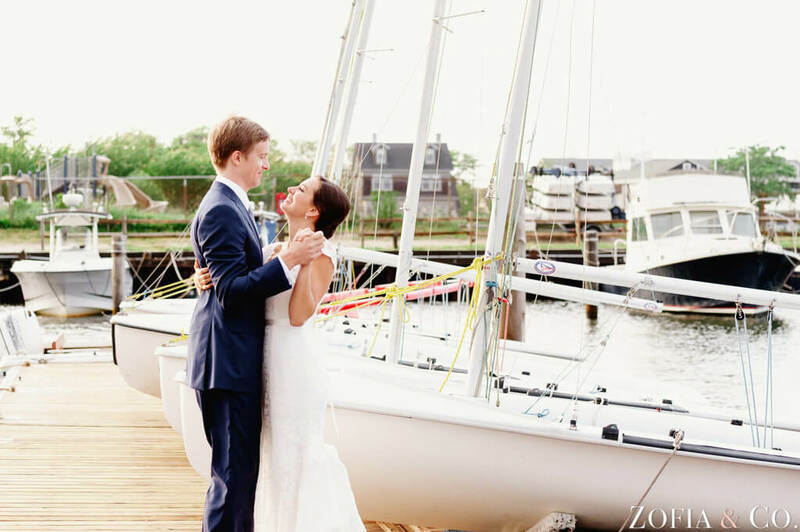 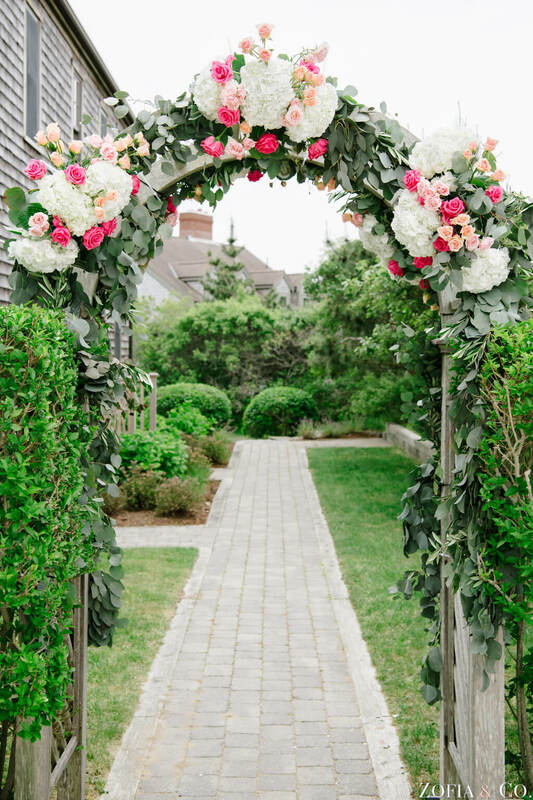 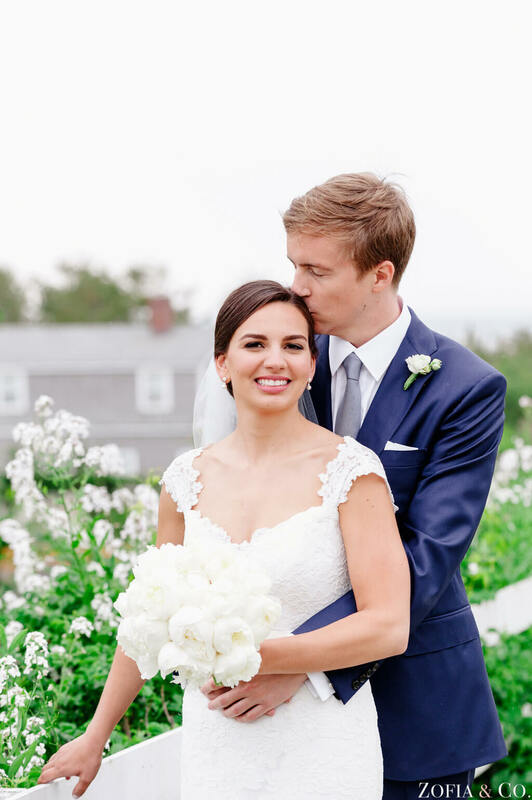 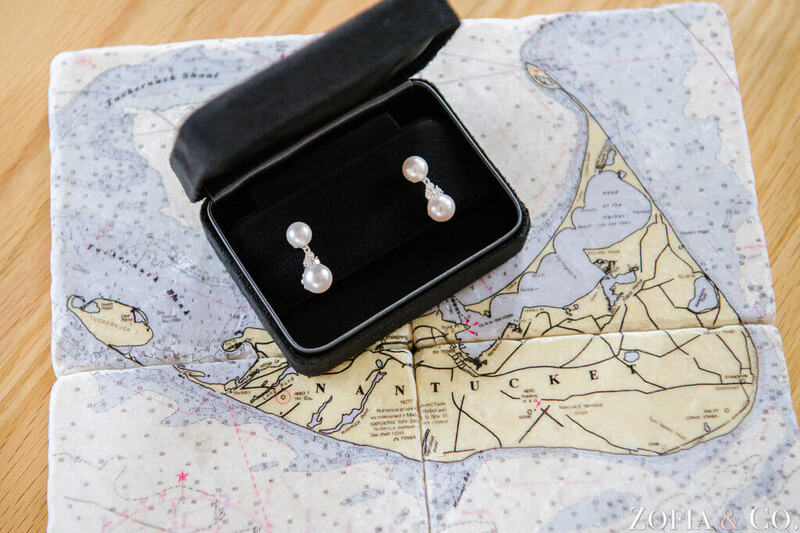 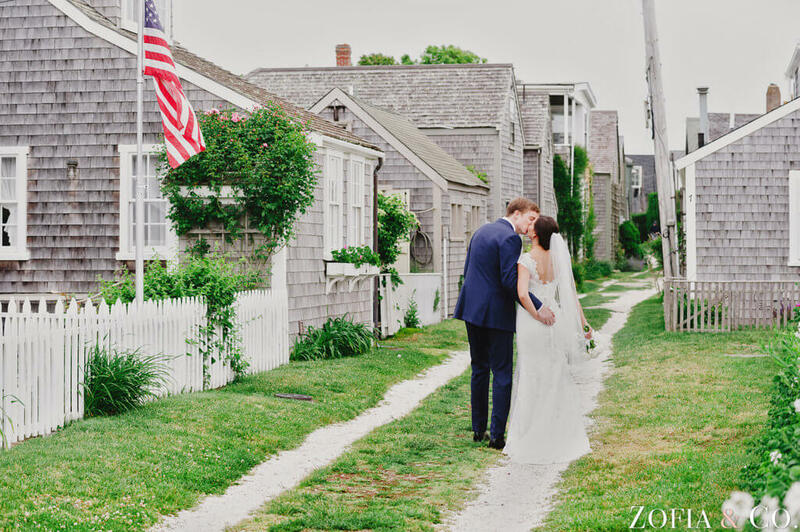 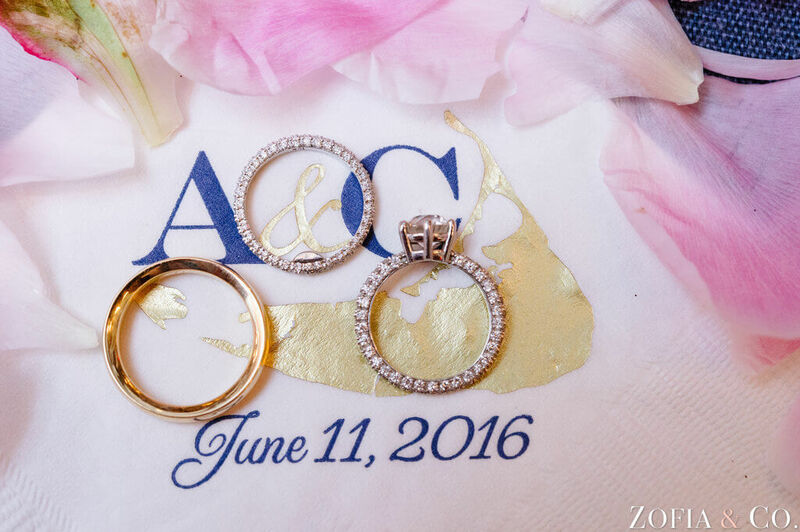 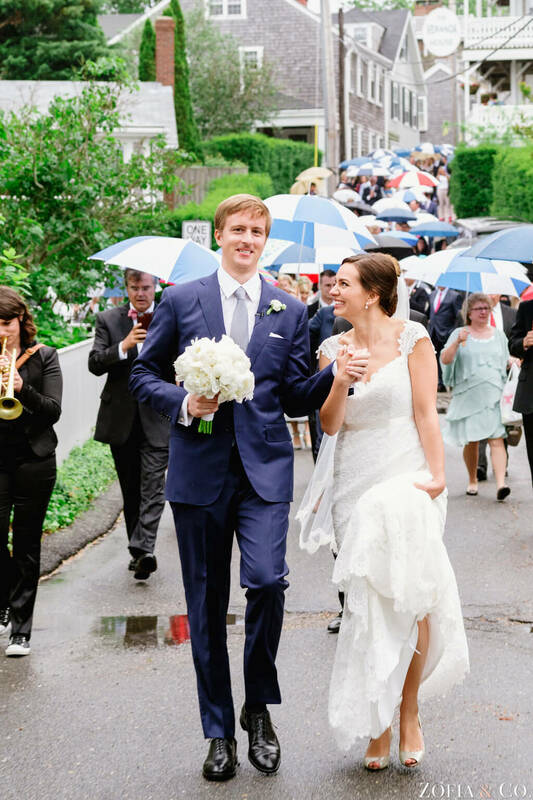 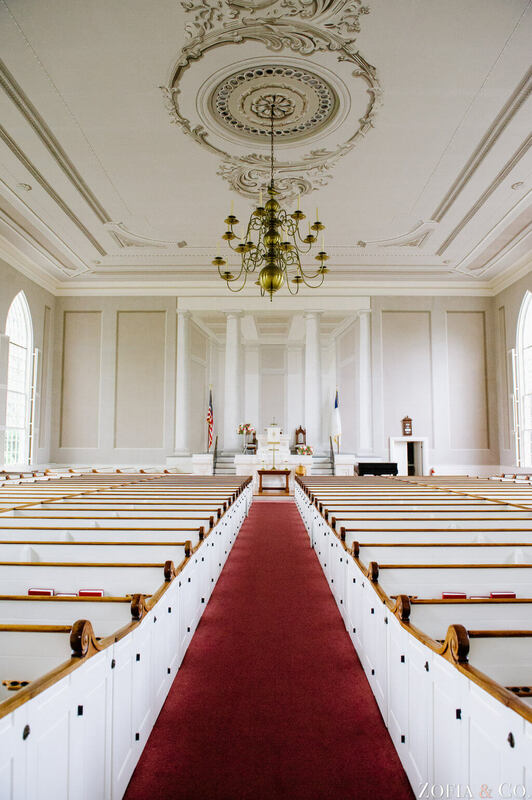 The couple had a sweet ceremony at the First Congregational Church on the island and then a gorgeous seated dinner reception at The Nantucket Yacht Club. 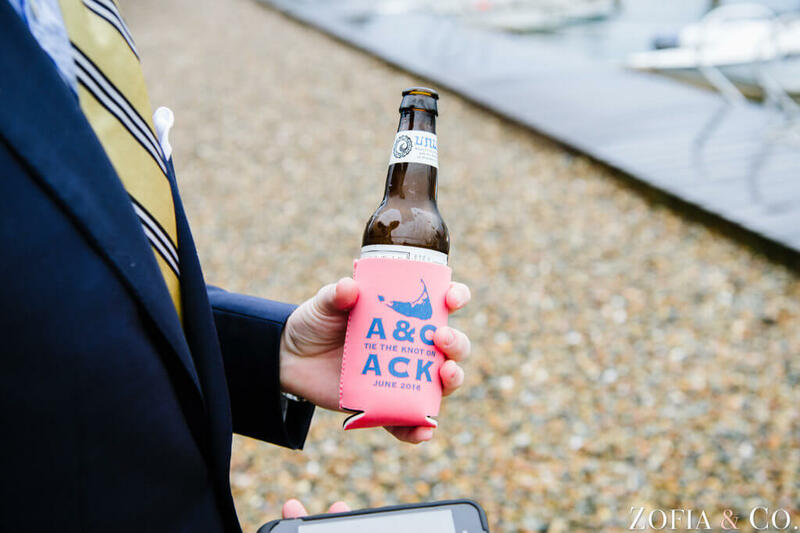 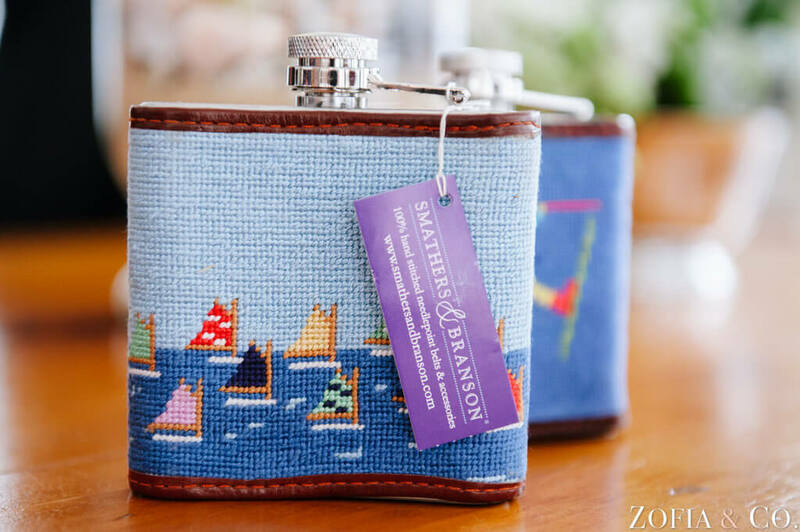 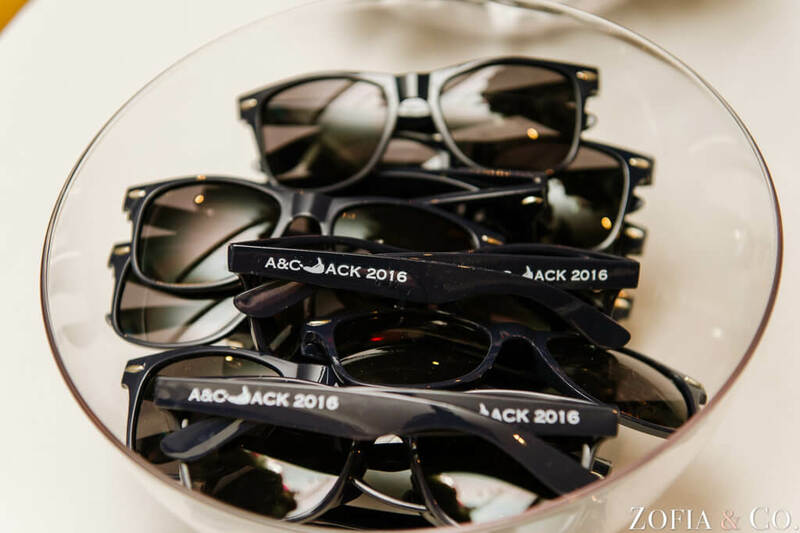 With a band playing into the night and custom swag such as sunglasses and koozies, this preppy Nantucket wedding was a nautical inspired night to remember! 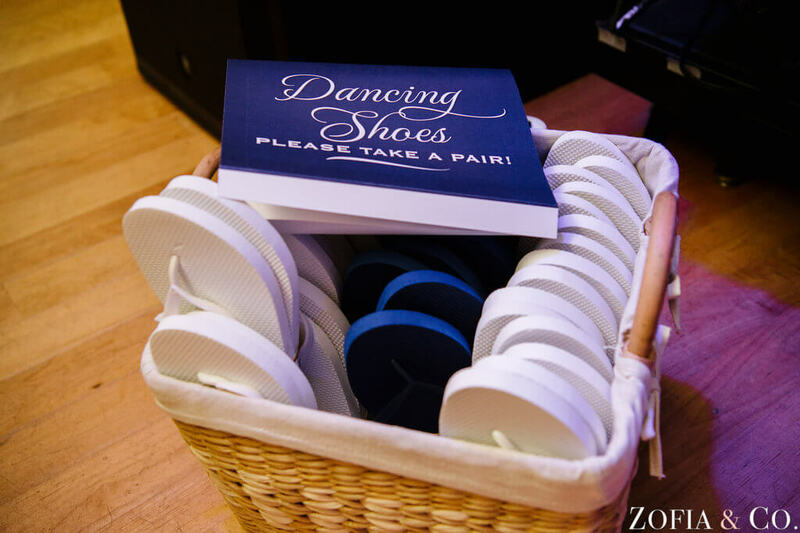 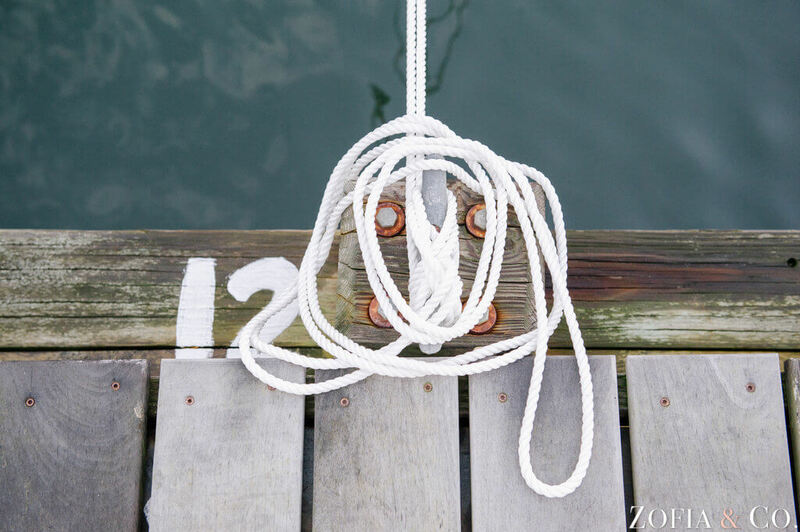 Photography by: Zofia & Co.